J.G. Dawes Builds Amarilla a House 1904! 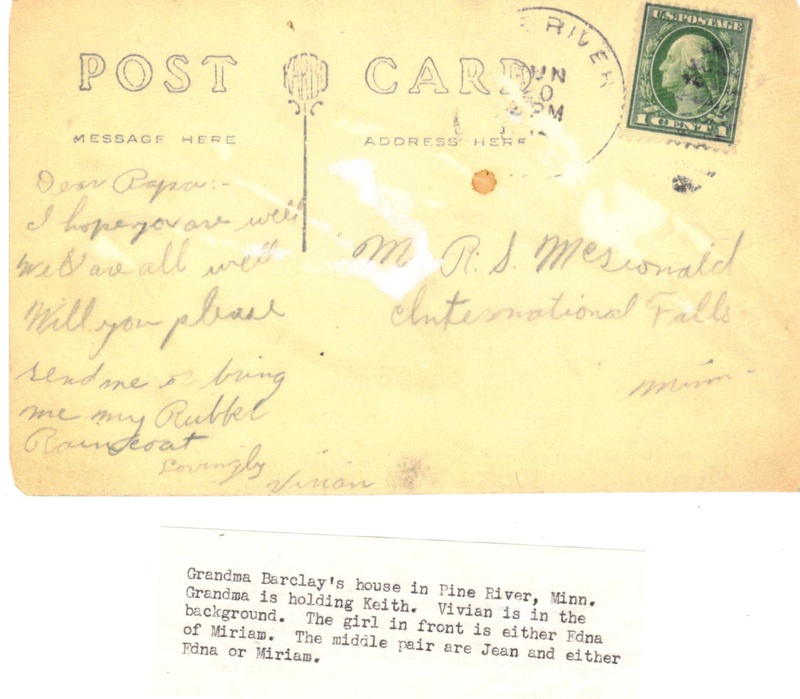 Among my father, Keith’s possessions, was a postcard picture of a house with some writing on the backside. It was about this time in Pine River, in 1904, that J.G. Dawes had the house built. Now I cannot verify that he was responsible for actively building the house but he seemed to think so years later when he commented about it in an affidavit for another attempt of Amarilla to secure George’s Civil War pension. 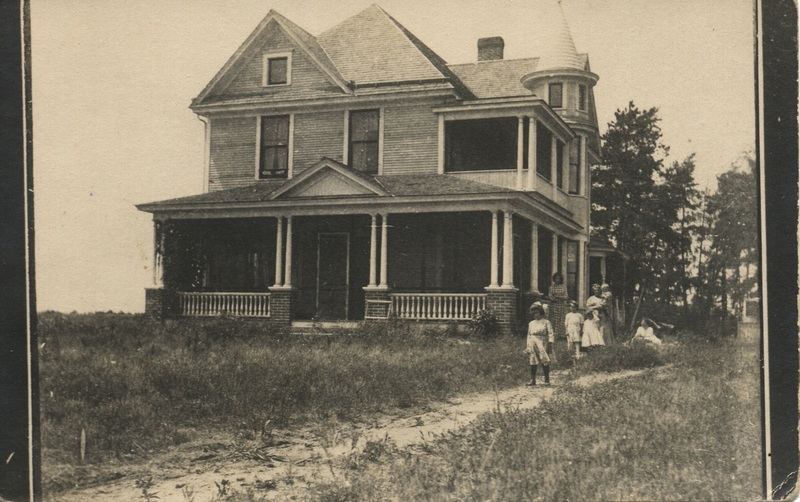 This house still stands in Pine River and is lovingly cared for by a local family. Amarilla and J.G. gave lots 21 and 22 in Block 12 to the Methodist Episcopal Church of Pine River for $1.00 in September of 1902. 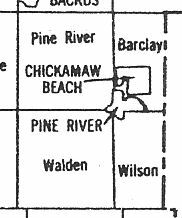 Amarilla was to bequeath a lot more to the town of Pine River. Mrs. Ammarrila Dawes & husband, to The Methodist Episcopal Church of Pine River, filed 10 October 1902 at 9 am. This indenture made this 11th day of September, 1902 between Mrs. Ammarilla Dawes & J.G. Dawes of the County of Cass and State of Minnesota parties of the first part and The Methodist Episcopal Church of Pine River of the County of Cass and State of Minnesota party of the 2nd part Witnesseth that the said parties of the first part in consideration of the sume of one dollar to them in hand paid by the parties of the 2nd part….Lots numbered twenty one (21) and twenty two (22) in Block twelve (12) in the Village of Pine River, according to the original plat on file with the Register of Deeds in and for said county and state….signed by Ammarilla Dawes and J.G. Dawes and witnessed by Hans P. Hanson and Wyman H. Davis the notary public witnessed their free act and deed. 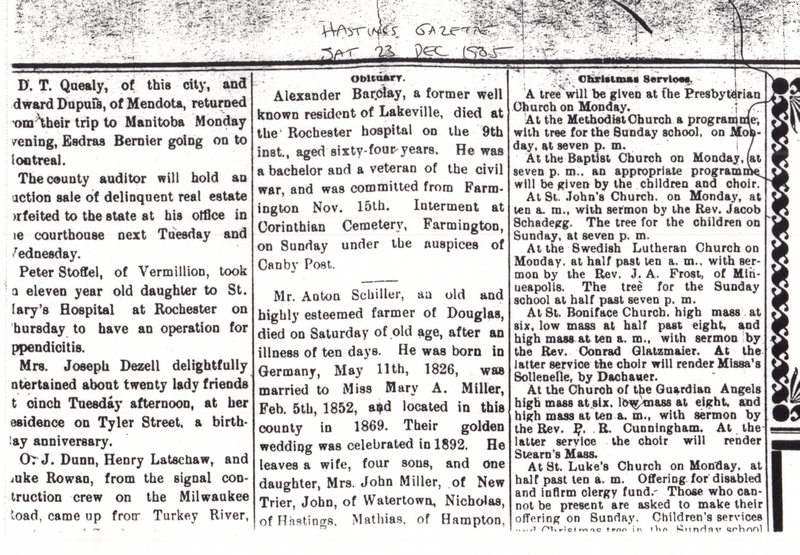 Source: Cass County Register of Deeds, Cass County Courthouse, Walker, Minnesota, Book W, pg. 407, 11 September, 1901. Apparently, Amarilla and J.G., were involved in the founding of this church for there appears an Article of Incorporation which was filed for record September 23, 1902. Although they are not listed as trustees it is evident that they assisted with the process by the giving of the lots of land to the church. The above was found in the clerk books after the deed for $1.00 mentioned above. The instrument continues with an affidavit of the two men doing this of their own free act and deed followed with an affidavit certifying that Mrs. Amarilla Dawes was the same person as Mrs. G.A. 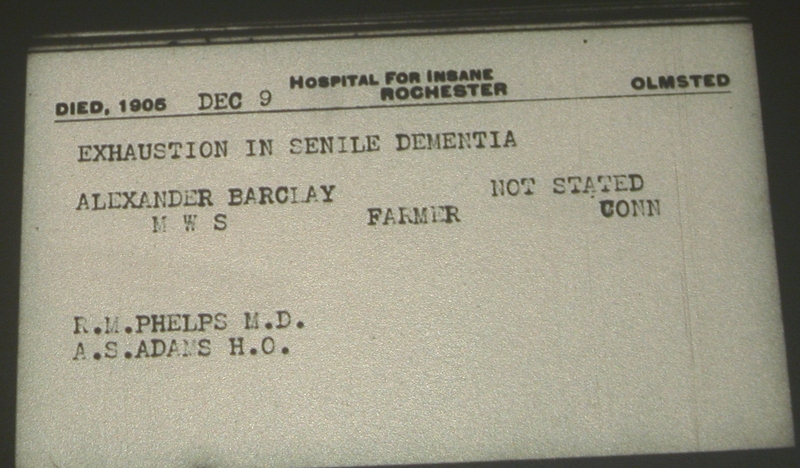 Barclay, dated the 8th day of September 1902. 1874: A Patent in Walden Twp? This patent is in Section 12, Twp. 137, R30 and is Waldon Twp. Patent: George A. Barclay of Cass Co., Minnesota office St. Cloud, Minnesota, George A. Barclay the northwest quarter of the northwest quarter of Section 12, in Twp. One hundred and thirty seven of Range thirty in the district of lands subject to sale at St. Cloud, Minnesota, containing forty acres. US Grant, first of August 1874. Cash Entry Folder – 7084 St. Cloud, Minn Sec 12, Twp. 137, Range 30, [App] o June 20/74 FOB, Pd August 1st 1874 Rec Vol. 12, Page 168 Ex notice in Tract Book 3/20/34 JGS, Vol. 35, Pg. 16. Other side: Pat. August 1, 1874, Vol. 12, Page 168. Land Office at St. Cloud, Minn, May 22, 1874 George A. Barclay, Cass Co., State of Minn NW4 NW4 section 12, twp. 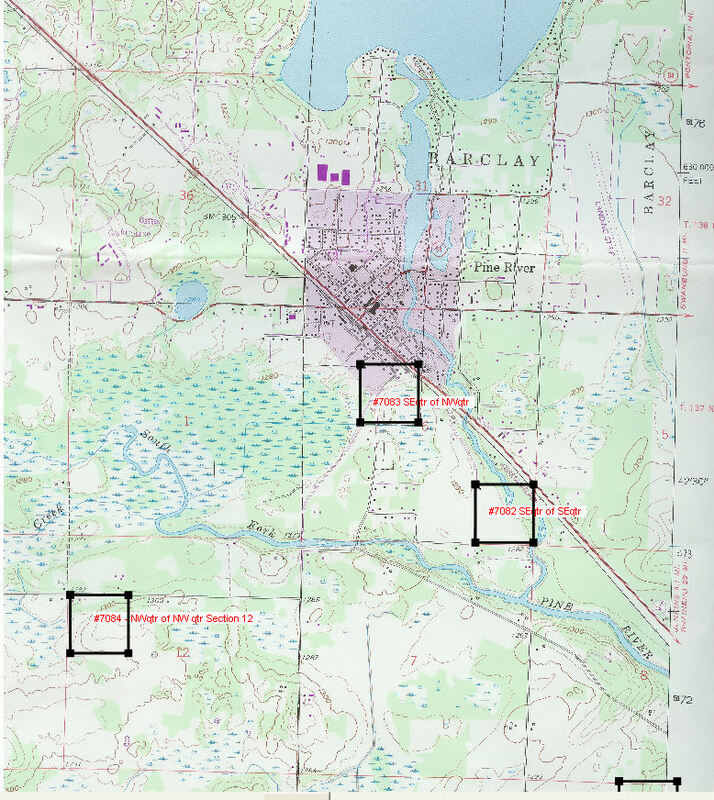 137, range 30, containing 40 acres at the rate of 1 dollar and 25 centers per acre amounting to $50 dollars has made payment in full as required by law George A. Barclay shall be entitled to receive a Patent for the lot above described signed by H. L. [Lovelace] Register.